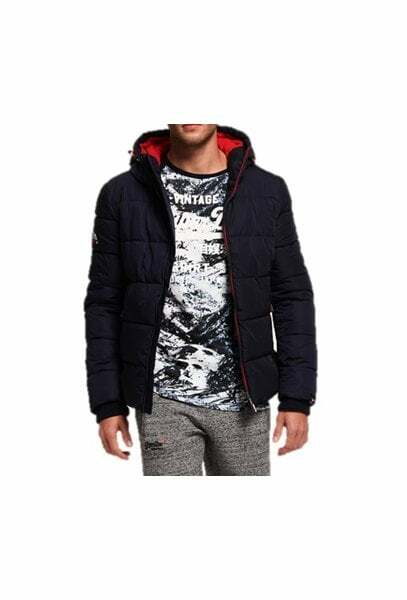 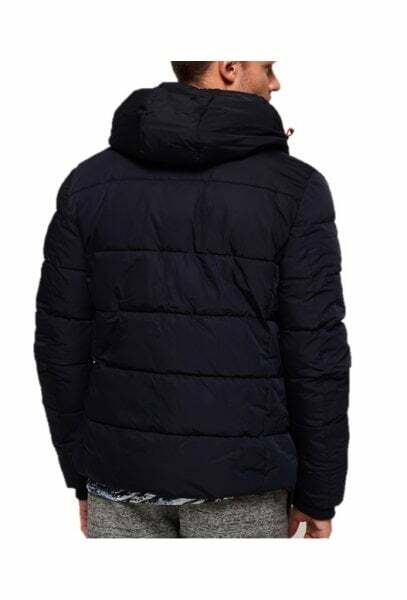 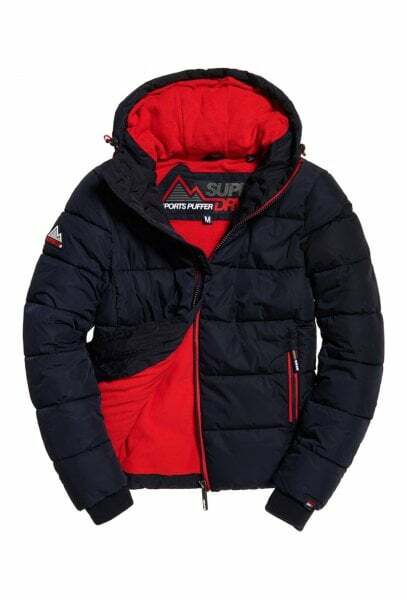 Superdry men’s Sports puffer jacket. 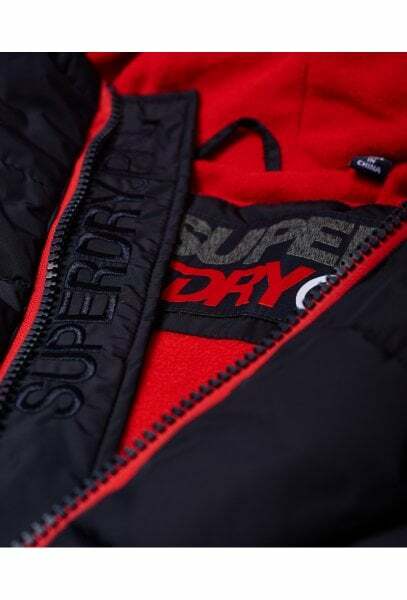 Stay protected from the elements this season in this Sports puffer jacket. 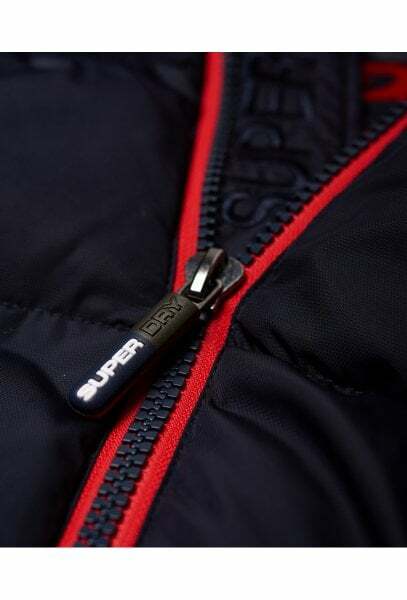 Featuring, a single zip fastening with a bungee cord adjustable hood and hem, as well as two external zip pockets and one internal popper pocket. 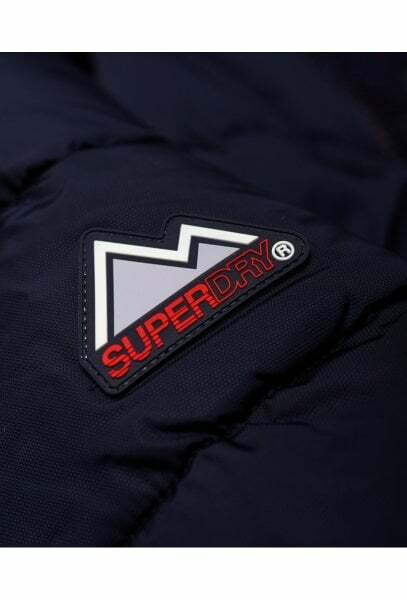 This jacket also features a Superdry logo embroidered on the placket, a Superdry badge on the sleeve and a Superdry tab on the cuff. 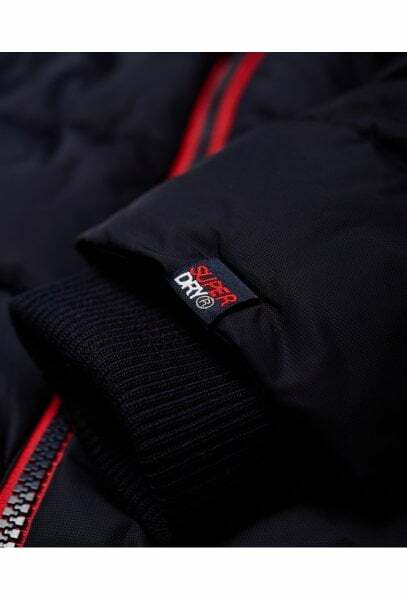 This Sports puffer jacket also has a fleece body to keep you warm and cosy and ribbed cuffs for a comfortable fit.